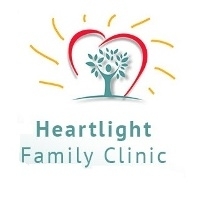 Heartlight Family Clinic specializes in Family medicine for ages birth through the elderly. We specialize in prevention of chronic diseases, perform comprehensive physicals and wellness visits, and treat common acute and chronic conditions for your whole family. We offer a nurse practitioner family practice which combines the best of traditional medicine and the best of professional nursing to create a truly exceptional experience for our patients. Everyone deserves compassionate and professional health care from a provider who listens to them. We treat patients with respect, compassion and as unique individuals. Nurse practitioners strive to build long lasting, trusting relationships with our patients and their families. If you have other specialists we will work with them to ensure that your entire healthcare plan is effective. As your primary care provider, we will be your medical team leader and collaborate with other healthcare professionals to assure that you receive the most comprehensive, cost effective and evidence based care. We may refer to medical, psychological and wholistic care specialists when necessary.